A Full Fledged JEWISH Police State with Jewish-enabled US Military DRONES…30,000 of them by 2015…Spying and ARMED against you and me. No one realized that Jew Levin’s NDAA carried a DRONE statute that after 90 days (now up) the US Military would be flooding our skies with Jew-enabled DRONES. America is JEW-OWNED and JEW-SPIED. Jews have TAKEN OVER both ON THE GROUND & IN THE SKIES. Plans are NOW BEING MADE preparing a LAW SUIT to BRING DOWN THE HANUKKAH Menorah from the White House Lawn. But I NEED YOUR HELP. I’ve got the energy, the time, the WILL to see Jewry DESTROYED. Will you help me to do it? It was bound to happen sooner or later…a frightening scenario that makes Orwell’s 1984 look like a children’s bedtime story. For with the passage of the National Defense Authorization Act last January, known as the NDAA, not only is the US military empowered to arrest any American citizen without charges or trial, but also—after a 90 Day waiting period and that period is now up—to share US air space with civilian aircraft. Military Drones, Unmanned Aerial Vehicles, UAVs, barely seen from the ground and remotely controlled from Air Force bases…Predators, Reapers—used in Afghanistan…about to be unleashed on us—up to 30,000 of them armed with 3,000 pound payloads and heat sensitive surveillance cameras. It’s a whole new way to wage war…and that war is about to be waged on us. The sponsor of the NDAA, Jewish Senator Carl Levin, who heads the Senate Armed Services Committee, and those with whom he works closely: Jewish Senators Joseph Lieberman, head of the Senate Committee for Homeland Security; Diane Feinstein, head of the Senate Intelligence Committee, Chuckie Schumer, head of the Judiciary Subcommittee on Border Security; apparently look upon the rest of us as “enemies” of their Judaic police state. Is it any surprise then that the Israeli company, “Stark Aerospace,” was recently granted permission by the FAA to fly its Heron Drones in US airspace?…the very same drones used in the genocide of the Palestinian people. For we are ALL “Palestinians” now as Levin and Company’s Spy Drones flying the unfriendly skies of America solidify a Judaic Police State. Due to the lobbying by New York Jewish Senator Chuckie Schumer, four initial test sites launching the Spy Drones just expanded to six with one in the heart of central New York. I didn’t know we had a “border” threat in New York with our Canadian neighbors did you? And with every assassination strike US drones perform in our never ending “war on terror” Jewish Senator Dianne Feinstein will be given premiere viewing of American citizens shot down in cold blood by the NDAA’s US spy drones. What’s next for American citizens? It’s not a Video Game or a James Bond thriller my friends but an Orwellian nightmare about to come to an American town near you. And the Jews behind our American Orwellian Spy State: Levin, Lieberman, Feinstein, Schumer—will have created not only a mammoth outdoor TSA Line stretching from the Atlantic to the Pacific—but a Big Brother Police State with a HUGE Jewish Star invisibly nailed to America’s swarming, Jewish-inspired, horde of sinister US Spy Drones. America, you’ve been hijacked NOT by terrorists but by a Judaic cabal maneuvering its agenda out of Capitol Hill. And now with its US spy drones the Jewish police state is now focused on you. Scary stuff, when will people wake up, its only going to get worse. Here are some new drones–you may not even notice these once they employ them. These upper echelon Jews that include Feinstein, Schumer, Lieberman, Levin, et al are some very sick-thinking folks. I agree with all you had to say and it’s pretty scary stuff. They certainly are testing our patience with them but why was Palestinians in inverted commas? Surely “Israeli” should be and not the legit people of the land. What I would like to remind my American cousins, is that those upper echelon Jews (such as Feinstein, Schumer, Lieberman, Levin, et al) are most likely taking orders from people or groups living outside the United States. I cannot be certain, but that is the hunch that guides my deeper thinking. They are only acting as Change Agents or Managers of an Agenda that was plotted long ago, and was switched into high gear by the theatrically staged, 9-11 event, followed by the 7/7 event in London, and then by the surprise award of the Olympic Games to that other premier ‘Jewish’ city, London. Remember that London started out as a rank outsider for consideration by the IOC. Recall that London was awarded the 2012 Games only after huge lobbying by some Zio heavy hitters, supported by their stage poodles, such as Tony Blair (who personally attended the final vote session). The official 2012 ZION logo was probably already lined up, as it surely took very little imagination to create. It could have been sitting on someone shelf for ten years or more, to be dusted off when the time was ripe. In this Bilderberg week, who or what could be giving the orders? Inevitably, the Rothschilds come to mind, but there must be others. Perhaps a couple of hundred of them? The Rothschilds get a kick out of being wealthier than anyone else. But there must exist others (less visible) who get their most thrilling kicks out of simply being more powerful and sadistic than anyone else. They like to see unsuspecting people bleed, suffer, and howl in despair. History recorded the distant ancestors of these psychopaths while it recorded the slow decline of the western, Roman Empire. A substantial part of the United States (mostly those states south of Virginia) started out as Penal Colonies, and were first settled in numbers by White Slaves. This is (I would suggest) where the motivation to really ’screw’ contemporary Americans is coming from. Such a motivation could only really survive in the minds of a people (i.e., bloodlines) who have long considered themselves equal to, or above God. This would include senior Ashkenazi Jews, but certainly not be confined to them as a group. The pen that creates dollars is mightier than any sword. The Zionist-owned Fed Reserve and regular banks create paper money and electronic money from air. Uncle Sam prints bonds to use to rent new dollars at interest from the Zionist-owned Fed Reserve and pre-circulated dollars from China, Bank of England, et. al. You march in lockstep to the Zionist connived Infernal Revenue scam to pay endlessly income tax but..even when you die Uncle Schmuel wants your death taxes. Research prepping. Y’all are gunna need it. All it takes for evil to triumph is for people to obey the law, vote for evil politicians, which is all of them and ignore reality. Don’t think and get back to watching the football game and drinking beer. If Fukushima or some virus doesn’t kill you, the guards at a NWO death camp will. Could it be possible to have a law suit for the government allowing 9/11 to occur? What about a law suit for the government lying about Iraq and creating a war? What about a law suit against big pharma for putting mercury and aluminum in vaccines? What about a law suit for putting fluoride in our water? What about a law suit for not going to Colombia and destroying their drugs? Why not a law suit for allowing illegal immigrants into the country and then granting them amnesty? What about a law suit for murdering those people in Waco? Brother, would you suggest that it might even be better for some people to leave the country? I mean ones that will be heading to the FEMA camps? The Jewish goal of making us feel like we have a common enemy in Muslim terrorist is going to backfire on them. We are instead going to sympathize with the Palestinians. In particular the Christian Palestinians. Just reminding people that Carl Levin (NDAA) among others holding great power, putting fourth new laws, and governing us are also Israeli Citizens. Found your comments worthy of being translated into at least Spanish. Methinks everything is lined up for a full-blown police state in America which is one false flag event or major riots, like provoked Blacks riots in case Obama doesn’t get reelected. Now you know why they noted GPS coordinates during the census. They can target any and every single American at home, in the middle of the night. I would, again, advise everybody to see the prescient movie “Escape from New York” (1981) where Manhattan was surrounded by a sort of Israeli apartheid wall and the New Yorkers, bands of criminals, were constantly watched and controlled by police from the outside. This is, I think, what the Elites may have in store for all of us, unwashed Goyim, in the near future. Greece has already made major weapons purchases, weapons which may be used by riot police. If the present demostrations get more violent, one can expect martial law there. Later on - in other EU countries. One by one the countries will turn into dictatorships and then just surrender their sovereignty to a One World Government as predicted in the Protocols. Putin has not been traveling much lately - there is a prize on his head from Berezovsky, I heard. If he gets terminated, Russia may become unstable and then gets attacked together with China and Iran. The rest will just surrender to avoid mayhem. Sorry, friends, I have a headache today and therefore these stupid ideas. Seriously now, I am thinking of Fukushima a lot these days. Things go form bad to worse there and it looks like human life itself is hanging on a hair of an old horse. John [@ 5:52 am] … please contemplate the quasi-legal name for Israel. It reads: “The STATE of Israel”. Some have argued that this (secretly) implies a direct, de facto link to those States that have traditionally comprised the United States of America. Remember, what you were taught at school and what the academic text books state have no substance in law. It is how the system (and the financial relationship) actually functions that gives the only reliable clues to the real political relationship. The cabal of International Bankers who run the Federal Reserve, and the entire financial system as we know it, have owned the United States (in its entirety) since 1933, when President Roosevelt was instructed to declare the nation bankrupt. By 1934 (I think) the Pyramid symbol had appeared for the first time on a re-designed Federal Reserve Note. Shortly after entering the White House FDR called a brief banking holiday. Then, within a couple of years, Fort Knox began construction for the specific purpose of storing all the gold that was to be confiscated (by edict) from private ownership, and at a specially discounted price. Major parties to that cabal of International Bankers (the creditors who ‘heisted’ your private gold) also own Israel. They financed the entire Zionist operation from start to finish, including the various emigration waves. Ergo the link between Israel and the USA. In other words, to those who own the most important tangible assets of both Israel — note that both the Israeli Supreme Court and the Knesset were financed by the Rothschilds — AND the United States, there is no material difference. Thus, Israel can authentically be seen as a de facto U.S. State. The much quoted “dual citizenship” thus becomes a red-herring. Your real owners are playing a two-faced game. For the United Nations, and flag collectors, they pretend the two geographic entities are politically disinct, and thus issue separate passports to help pretend that pseudo-fact. But to their respective creditors, each entity is in fact one and the same. This (I believe) is how Israeli ‘citizens’ get to be bona fide members of US Presidential administrations, and also helps explain why President Truman formally recognized Israel within hours of it declaring its ‘national’ independence. Put it another way. If the states of Nevada, or Montana, or Wyoming, et al, were to all function correctly, as the Constitution FOR the United States originally intended, then they would be indistinguishable from the “State of Israel,” in terms of their internal apparatus, political functions, and institutions. This is my own reasoning anyway. Sadly, I am unable to quote any documents or specific legislation to prove my thesis. Everything has to be inferred from available evidence. But if it walks like a duck, quacks like a duck, then it must be a _ _ _ _ , right? 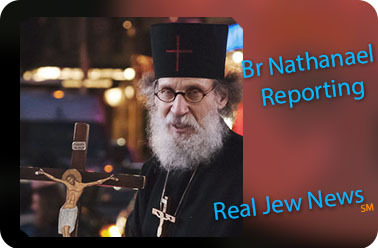 Great video, as usual, Brother Nathanael!! What about the Christmas tree and exhibit out back of the White House?!?! You can bet the Jews will have something to say about that. Anyone commenting here that can, but doesn’t at least send in a modicum of support to Brother Nathanael, is similar to those James wrote about in the New Testament, when he stated that faith without works is dead. Show me your work and you show me faith, etc. P.S. No, I am not connected with the Brother in any way but the fact that I read his blindingly truthful messages. These messages of truth will never be touched by the so-called “concerned,” progressive left, (Democrats) who are joke. Neither will these messages be touched or told by the lunatic Religious Right. Brother Nathanael is unique. In typical Jewish fashion, they’re making us pay the costs of our own enslavement. Anyway, great video, Brother Nate! I’ve sent it out to my email buddies. How about this! From Occupy Frankfurt. May 19, 2012. The German police took off their helmets and marched with the protesters–clearing the way for them. The Jews won’t/can’t trust the military or police. One Good Coup = NO MORE JEW. REAL Robots and drones obey orders and programming. Jews are crapping themselves realizing the Goyim are waking up. I have watched this movie last Saturday quite surprised actually that I didn’t know it existed. I found it meaningful; there is a certain message being passed on. Have you noticed in the video who was protesting? -The infamous “Antifa” (Anti-fascists), the stormtroopers of the Jews against anything remotely nationalistic and decent in Germany. -Globalists of the worst kind. You can read very clearly “No more borders” as a motto of the protesters. This will suffice to make it clear why policemen were relaxed and took off their helmets: no harm to the Frankfurter banks was to be expected from these CLOWNS, usefult idiots and traitors. They are the archetypal CONTROLLED OPPOSITION. American Patriots should start studying the hijacking of RQ 170 by the Iranian Armed Forces. Two different hypotheses were put forward: either a computer virus was used to hijack the drone (maybe the Suter virus) or the GPS signal was hacked. This technology may potentially be accessible to militias. Or it could be provided by Iran, Hezballah or Russia free of charge! In any case, this technology may render the 30,000 drones useless and even counterproductive if captured! Thanks for the info..hats off ! This is why internet is so valuable..we can share ideas and info etc.. Unfortunately, you are right. This was a clown-demonstration. And no Jews protested afterwards, as far as I know. I listened to your radio interview with Gilead Atzmon and Jeff Rense and your videos seem tame compared to what you said on the interview with them. Americans that are watching these videos are awake… and are not stupid. I agree with all of the videos and articles that you have written and appreciate your insight. On another note, I was going to reply to an article relating to the “Jewish Question” and could not coherently formulate an answer as I know something is “awry” in the land of Israel… I just couldn’t find the words to verbalize it. If you could expand on this, it would be greatly appreciated. My understanding is that Israel was given to the Jews by England through the Balfour Declaration of 1917 although Israel was not formally given the land until 1948. I am also aware of Theodor Herzl, a Zionist Jew who had something to do with it. Can you please speak to who the “real” Jews are and how Israel was “hi-jacked” by the Zionists? I am aware of the movement “Jews Against Zionism.” Are those in charge of Israel not “real” Jews? If you could also speak to your knowledge on who the Khazar Jews are in relation to the Sephardic Jews… that would be greatly appreciated. Thank you and I look forward to your insight on this issue. @ Rachel … Thank you much for that link. To be honest, I stumbled upon this same video about 2 or 3 months ago, and watched it one evening while eating, but then forgot about it!! Sometimes I think I watch / read too much! To be sure, my eyesight has deteriorated somewhat since 2008 even though I have long used a good quality PC monitor. Other RJN readers should follow Rachel’s link and watch the video, at least two times over. There is a huge amount of new information pumped out, and it will take you some time to digest it. Rachel, I suspect you will be very interested in the following info. There is another major (hidden) issue that relates to the Bank of International Settlements, and thousands of tonnes of gold stolen during the 1930s from China. Those $billions worth of Federal Reserve Bonds recently recovered in Italy (while being carried out of Europe by, if I recall correctly, two Japanese men) are real. They are NOT fake! Also, the Philippines has long been used as a hiding place for confiscated gold, and those bond boxes originally promised in exchange for this gold. I suspect, the ESF is somehow connected to the amazing story that describes just how much of pre-Mao China’s massive gold reserves were accepted by the New York Federal Reserve Bank (for safe keeping ~ ha-ha-ha!). Gold not transferred from pre-Mao China to Lower Manhattan (using a flotilla of US Navy warships) was stolen by the Japanese (when they controlled Manchuria) or taken by Chiang Kai-shek’s Nationalists to Formosa (Taiwan). Basically, and in addition to its role of heisting Weimar Germany’s gold due to the Versailles impositions, the BIS in Basel was later used to launder large amounts of the gold stolen from European countries during World War Two. Much of this stolen gold ended up in the USA and was stored under the World Trade Center prior to 9-11. By the time investigators got down to the damaged depositories, deep underground, some of it had disappeared. In other words, one of the reasons the conspirators planned 9-11 the way they did was to provide cover for yet another huge gold bullion heist. You can look up the two banks involved by doing some diligent research online. I think WTC-4 or WTC-6 was involved in this. But I am only writing off the top of my head right now. Those Bonds issued by the Federal Reserve System to (principally) China, in return for this gold–to be stored just a couple of blocks away from Manhattan’s Jewish Quarter–were placed in large, sturdy, and buriable boxes, reinforced with copper fittings, and extensively marked. They have survived intact until this day. Many have already been recovered, and clear photographs exist. Legal cases have already been filed, and if you know where to look, you can verify these court case filing records for yourself. This development has put the fear of God into most of those cockroaches connected with the Federal Reserve System today. This might explain why they have decided to crash the system post 2008; as the only viable get out plan. The mad dash to war by the psychopaths controlling Washington DC and the White House is the result of them entering panic mode. It now looks like another major war is their only long-term survival option. So, the world must ensure they fail. Then we can take down these non-human creeps, one by one. American citizens are strongly advised to make friendly (non-hostile) contact with the military and the police in order to get as many of these young and youngish men as possible on their side. They must be taught, slowly if need be, that their paymasters are the most evil bottom feeders to have ever walked this earth. Look up the OathKeepers website!! There is much, much more to this huge story than I can write here. It has only recently broken out into the public arena. Right now I am working on topics that have been greatly distorted by this formerly secret issue, so I need to stay cagey until I have gotten my own work published. Though, you and others will doubtless benefit greatly by keeping your eyes peeled, ears primed, and staying tuned!!! I am not bullsh*tting when I state that this complex yet decisive financial issue (related to the circa 76 year old transfer of Asian and Chinese gold bullion in exchange for Federal Reserve Bonds of huge denominations) alone promises to provide sufficient evidence to assemble a watertight, legal case against all the infamous banking dynasties, with the objective of destroying them by due process. Some of the felonies that have been committed are so serious that the death penalty would be the only sentence possible for many who could be convicted of these crimes. Just as Jewish professor Robert Weissberg (american renaissance) told me in 2000 that JEWS did Civil Rights, etc., YOU are telling us the same thing. The difference is that Weissberg ‘told all’ because Jews are ticked American blacks don’t appreciate ‘what they did for them.’ You, on the other hand, are warning us as to the Jew’s intention. “Judaic Police State.” I love that! I’ve been telling everyone I know that the police aren’t doing it! The FEDS are! And you are absolutely correct. You get it. “We are all Palestinians now.” How right you are. And no one did anything–as if they could–when Jews were given stolen Palestinian land in 1948. Keep on, Brother Nathanael. I hope Americans are listening. Will Ron Paul be pushed to spell it out ? I hear a lot about growing Muslim influence in the US under O’Bama on a Christian TV station. Is there any truth in this? I remember the case of the bond papers seized from some Asian carriers in Italy. Several times I have set out to research on this incident only to find that all available sources swept the story under the table and there is no-where anything specific to be found. I was thinking at the time that some major Asian country might have tried to get rid of its Dollar holdings or encash Dollar Bonds, which might be worthless in the not too distant future. These Bonds are indeed denominated in ‘Dollars’. Many individual Bonds are actually denominated with $Billion and even $Trillion values. A bit more of this incredible story has come back into focus since I posted that earlier comment. Apparently, these Bonds for Gold exchanges have time limits. That was the original agreement. It is my understanding that such Bond Issues always have time limits. Therefore pay particular attention to this next nugget: a consignment of Gold (with the original Bonds being redeemed) was due to be returned to their rightful (Asian or Chinese) owners in circa mid-2001 by the Federal Reserve System (i.e., the same organization that had offered a “safe harbour” for gold owners during those turbulent times of the late 1930s). I repeat … a major consignment of Gold Bullion was due to be sent back to its original (Asian or Chinese) owners during mid to late 2001. But instead, the 9-11 bullion heist took place in vaults that had been purposely constructed deep under the WTC. The vaults were nicely isolated on the day because subway train services were halted (the WTC subway station had already been closed) before the North (first) Tower exploded, and further isolated due to evacuations trigged by the fires raging in the Twin Towers high above. This heist might explain the many eye-witness reports of several explosions being heard deep underground the WTC complex, before the first collapse. Now, are you getting a clearer picture?? The 9-11 conspirators knew of this obligation in well in advance of the WTC catastrophe. Might this information change people’s understanding of exactly what motivated the WTC false flag? Such high stakes would help explain how it was so meticulously planned, carried out, and supported by a full array of participating actors. Perhaps a small number of truth investigators with the “right stuff” will immediately understand the massive significance, yeah? Let us hope so. Doubtless there are more than a few senior politicians in Beijing, and Generals in China’s armed forces, who know exactly what has been done, by who, and why. Doubtless, they have been steaming angry for several years already. And now, Panetta has just announced the US is going to ‘park’ about two-thirds of its entire fleet in the Asia/Pacific region. The hidden reason is emerging out of the proverbial mist. It is because they (the gangster issuers of the original paper Bonds) ain’t gonna give this gold back without a fight to the death. If just one third of that huge mass of gold bullion ever leaves Jewified America’s shores, and returned to its rightful owners (those the Bonds were originally issued to) then their ‘Dollar’ (i.e., their Federal Reserve ‘quack-quack’ money) will tank to zero. Our pair of Japanese(?) Bond Holders passing through Italy a couple of years back may have been in possession of a tranche of stolen Bonds. I think that by law (or tradition) the gold is given back to whoever produces and presents the Bonds AND the Redemption Certificates in the appropriate manner. Naturally, this does not have to be the original Bond Holders. One of the key motives for World War Two was to enable huge amounts of gold bullion (or their Bond equivalents) to be subjected to a rapid or instant “change of ownership” … both in Asia and in Europe. Spy ? drones? call them what they are = MURDER DRONES!!! A couple of thoughts. I have bought the book “Gold Warriors” for some time ago but have never had a real zeal to read it. Does the gold you are talking about have anything to do with the “Yamashita gold” hidden by the Japanese in the Philippines? It looks like any gold brought for storage in the US tends to never return to its owner. Not to speak of the US own gold reserves in Fort Knox. What about the German gold? Is it coming back any time soon? The price of gold in the late 1930’s was ca. $34 an ounce. This means that a bond worth 1 Trillion $ corresponds to over 834,000 tonnes of gold. Something is wrong here. The total of gold mined in all history is 165,000 tonnes. I grew up in the 1960s and always curious WHY the leaders of so may causes where Jewish; ie Gloria Steinem, Betty Freidan, Bella Abzug, Jerry Rubin, Alan Ginsburg, Abbie Hoffman, etc. The impressions where that the Jews were into civil rights, social justice, create “equality”, stop discrimination, progressive liberals, etc. From their alleged “sacrifices,” their goal was to be, via the motto “Never Again,” mankind’s’ saviour, shining light amongst the darkness of man’s soul. Are we starting to see a “Christ complex” here? However, the Masters of Deception have a Bizarro world of the opposite universe. Now, we can retroactively review the TRUE intentions. That’s why much of “Official History” is basically Propagandized Fiction. Clearly the pattern is the same for hundreds of years. The Jews are revolutionaries. The US and Russia were undermined using different tactics, but the goal was to undermine the Family and Christianity. Russia, being more homogeneous than Ellis Island “melting” pot US, was one Major fell swoop of a bloody revolution. US was more the death of a thousands cut via these various movements but with the same objective. The Jews simply provided the rope as the rest hung themselves being co-opted in these movements. Some realize it now, while others never will or ever admit it. FYI Just checked this http://www.spingola.com/October2011.html and looks like Deanna had the Seagraves (authors of the Gold Warriors book) back on 10/31/11. The new, Utah Data Center. Who and what are they so afraid of? The Jews are showing us how they fear us with all this spying nonsense. My God, who needs to know every little thing about everyone except the Jews? There can be no doubt that the 9/11 disaster has solved a lot of affiliated problems. Not only has it provided the cataclystic event, which Wolfe seems to have yearned for, but it has also resolved an asbestos problem. And together with the asbestos problem it has resolved by insurance a financial problem, which emanated from the asbestos problem. On top of that one might assume that the insurance company bearing the brunt of it might not have been a Jewish company. I understand that the Munich re has borne a large part of it and as might be generally known by now the Germans have been twisted to be patient and tolerant. It seems the insurance investigators have been sleeping in this case. And I also think that when it became known who can shoulder such fabulous amounts almost without batting an eyelid, the share holders of the Munich re might today not be quite the same as they were in 2001. This might have found its expression in the change of name from Münchner Rückversicherung to Munich re. In other words: the shares might have fallen in 2001 etc. etc. One might say that whilst in the sixties the foreign share in DAX-holdings was 20%, this percentage has meanwhile risen to 80%, which shows who the Germans are working for. A tidbit is also that in Building 7 were the files of about 100 prominent Jews, who were investigated for huge tax frauds, and with the evidence having dissolved into thin air it wouldn’t come as a surprise that all proceedings were stopped for “lack of evidence.” This showed up only briefly in the mainstream as did the fact that massive gold reserves were stored under one of the towers. This, dear friend “Mission Impossible”, was really the grounds why I was so intrigued about your article. And Rachel’s reference only leads back to other slush funds and Balkanes figures turning up as front-men in connection with huge sums of US money being transported without trace into no-where, so that in the end the mind literally refuses to submerge into all this filth. Whilst I am not a Fulford fan and/or his dragon societies I know he is pushing some issues, which are part of reality and one of these issues is huge amounts of funds, which various parties are trying to put their hands on and which issue also seems to be somehow related to that quaint fellow from the House of Lords. I had hoped something new might emerge here, but as far as I can make out we are moving like hamsters in a bogie wheel. I think, like the holohoax, the movement of these mysterious billions chasing around the globe within seconds, to let the Dollar rise and the Euro fall or vice versa, as expediency may require, and which course of events may originate from thousands or tens of thousand of keyboards, but which is very probably initiated from less than a dozen hands, that is the system we have to stop! Adolf Hitler had stopped it in Germany with the following results: In the late forties, a whole range of American newspapers reported that the theft of German patents has saved the US 30 to 40 years of research. If our American brothers can stop this crap of wandering money (Wandering Who?) unbacked by manufacturing creativity, all of us can live in peace and comparative wealth and we will even earn enough money so that we can keep the Jews isolated behind the walls, which were intended to isolate the Palestinians! Sandra, thanks for the Lasha Darkmoon link. Your words express very well also my feelings. In reality, we know vanishingly little about what REALLY is going on and how. Unimaginable sums fly constantly above our heads, alliances are forged, services exchanged without us having a slightest chance of knowing it. Sometimes a lone, quite random person by a streak of luck, or bad luck, shines a sharp light on a tiny fragment of covert reality, something very strange which does not fit into anything we know. Remember the charming Jane Burgemeister who discovered the huge sending of deadly flu vaccines from Baxter labs? How about the little Lord telling high tales about trillions moving into RBS from the Fed. Then the light goes off and we are none the wiser. We are, so far, on the losing side. And we badly need a Leader. And I watched this movie the week it was released. You must be much younger than I. The movie was quite a sensation in 1981. Somehow I understood, for to this day I remember I was very afraid. The year was 1968. Two years later Gomulka, the Polish Communist Party 1st Secretary, was speaking on TV. When my father told me it was his last speech, I cried. I did because I realized for the first time in my life that things and people, good as bad, pass, never to return and there was nothing I could do about it. Not that I liked Gomulka that much but I sensed that the one who would replace him might be worse, and, at any rate, was unknown. My father was very puzzled over my reaction but I wouldn’t answer him why I cried. Only many years later I was able to verbalize my feelings that day. And, I agree with what you said above–we are on the losing side right now and need a leader. But the only leaders we are offered have a kosher stamp of approval. And unfortunately, despite all of the truth out there on the internet, most are still asleep when it comes to the Zionist threat. Apparently nobody is allowed to pay respect to the remains of Rudolf Hess, who risked his life in a peace mission to stop the war. I wonder if organized Jewry was behind having his remains dug up, cremated, and thrown into the sea. Better to call them what they are: MURDER DRONES or ZIO-DRONES! We’re awake, just don’t know what to do. So thankful Almighty God led me to this eye opening site. I just got a note from two of the moderators and the concern is that although the Video is on Spy Drones the comments are beginning to drift far afield from the topic. Can we please try to stay at least a couple hundred feet from the topic instead of 500 miles? You guys are already clued up and have the right scent in your nostrils. –Does the gold you are talking about have anything to do with the “Yamashita gold” hidden by the Japanese in the Philippines? Yes, it most certainly does. Obviously, the Japanese attempted to return the gold they had stolen to Japan. But, the US Navy had already imposed a blockade. Their only outlet route, for a while at least, was to the Philippines via Singapore and Borneo. Hence the buried gold in the Philippines. But you need to understand that many of these Federal Reserve Bond Boxes have also turned up in the Philippines … actually in the southern (and less developed) island of Mindanao. There was a plane crash, in thick jungle. Locals found it, largely intact. Some FR Bond boxes were recovered from that. These have been extensively photographed (both the box exteriors, and their paper contents) have recently been posted on the Internet. Just do your due diligence my Brother. What is interesting is that each of the Federal Reserve Districts were involved, and issued their own distinct Bond Boxes. Knowing this fact helps to reduce any legitimate concerns that this issue might be an elaborate hoax, almost down to zero. – It looks like any gold brought for storage in the US tends to never return to its owner. This is the nub of the entire problem. This capture of the world’s gold is by design. – What about the German gold? Is it coming back any time soon? As you and others expertly debated on one of Brother Nathanael’s recent article threads, the modern German state remains a militarily occupied entity, and its laws have been imposed upon it by predominently Jewish lawyers and their Anglo-Saxon Zionist poodle dupes. Under such circumstances, they’d be lucky to get a copper rod returned to them from anyone sitting in Manhattan. I would also like to remind you that in addition to a vast hord of German gold, the Federal Reserve System also holds a large proportion of Imperial Russian Gold stolen during the Bolshevik Revolution. Indeed, my past research found that the Czar had in fact deposited some of his gold holdings in America, prior to 1914. Though, I or others would need to reconfirm that. Not to speak of the US own gold reserves in Fort Knox. I realize that Fort Knox has a romantic hold on the imaginations of many Americans, and Europeans for that matter (blame James Bond and “Goldfinger”) but I suspect, as many others do, that Fort Knox is essentially empty of gold. It is now little more than a White Elephant. And furthermore, if it did contain real gold (not the gold plated zinc bars recently shipped to China, because Zinc has a very similar atomic weight) then it would belong to America’s Creditors. When I stated earlier that the USA was declared Bankrupt in 1933, I was not using the term metaphorically. I am using the word “bankrupt” in its literal sense. By law, all American citizens are collateral for the debt, because the gold reserves as then existed were insufficient to cover the original debt, following the Great Depression. This is why American Birth Certificates are monetized and thus processed by the Department of the Treasury. A stock number is printed on the bottom right (or bottom left) corner. They are each worth about $1.2 million and are traded on the NYSE. – The price of gold in the late 1930’s was ca. $34 an ounce. This means that a bond worth 1 Trillion $ corresponds to over 834,000 tonnes of gold. Something is wrong here. The total of gold mined in all history is 165,000 tonnes. Actually Has C, there are several overlapping wrongs in this, so let’s try and unpick them, one by one. Firstly, my use of the word “Trillion” many have been an exaggeration. I was writing my earlier comments “off the top of my head,” just as I am writing this one. I don’t have enough spare time to use up delving deep into my archives, as I am already supposed to be working on (i.e., writing) my book. So, forgive me for this. We can be satisfied that Federal Reserve Bonds do exist (as issued during the early 1930s in exchange for hundreds if not thousands of tonnes of gold bullion) that are denominated in $-millions and $-billions. I shall have to re-check the truth of the “trillion” denomination. But, this discrepency is neither here nor there, a mere bagotel, because the essence of this problem remains the same. Yes, you are correct when you make reference to the general acceptance that the total amount of gold ever mined is allegedly known. This ‘fact’ is often quoted by Silver buffs, seeking advantage. Or shall we say, supposedly known? Does anyone really have any idea as to the total amount of gold the Spanish stole from Central and South America following their bloody conquests there? What is known is that the Spanish subsequently traded most of that gold with Indonesia and China, in return for Silks, Spices, Jade, Precious Stones, etc. This is what helped drive the expansion of European influence to India and beyond. The Portuguese did exactly the same thing … frittering away their massive gold holdings to Asia in return for trinkets and spices. Gold coin or gold ‘nuggets’ were the staple currency of India and the Arabs for centuries, until the East India Company intervened. My dear Wotan … The entire truth is even more diabolical than you have just briefly described. One of the more esoteric mysteries of the attacks on the North and South towers was the significant difference in height between the two impact points. I forget the exact floor numbers at the epicentres of each impact, but there is a massive difference. Let me tell you why. The epicentre of both impacts (or explosions, if you do NOT believe real planes hit the WTC towers) corresponded with the exact location of two of the largest security dealing companies in the Western World. As of 2001, they were BOTH contracted to the US Government (by the SEC) to work on secret Fraud Investigations, and this work was being carried out in the North Tower (in respect of the first region hit) and in the South Tower, (in respect of the second region hit and demolished). You are entirely correct about Building 7’s destruction wiping out essential evidence in respect of ongoing criminal investigations. But the exact same result (but one that is an order of magnitude worse in its implications for the rule of law) was instantly gained by rapidly destroying both WTC towers. Yes, Fulford is one of the sources of the gold + Bonds information I have just relayed here to you all. I have struggled to accept Fulford’s testimony on occasion during these past several years, but time and again his advanced “information releases” have proven to be correct, and invaluable. The Japanese secret societies have controlled Japan for centuries. The Yakuza essentially run the Japanese government from behind the scenes. They go back to the Samurai tradition and reflect the unusual fractured history of Japan. If they issue a threat against Western banking interests, then you’d be wise to take it very seriously. If you know China well enough, then you will also be aware that similar secret societies exist in China (despite Mao’s attempts to extinguish them while under the Jewish tutelage he regularly received) and that they too might be planning to assassinate certain persons connected with the darker arts of the Federal Reserve System and the Rothschild Spider’s Web. And about that quaint fellow from the House of Lords … have you downloaded the YouTube of his (original) amazing speech? If not, then please do so, as the more people who do this, the less censoring power Google will have over this world. Remember that YouTube is now owned by Google, which is a Jew dominated company with close affiliations to the NSA, DARPA, and other organs of the Zionized US State apparatus. If you do not yet know how to download YouTube (or Vimeo) videos to your hard-drive conveniently, then consider installing the Firefox Browser. After you do so, you can then quickly install free “Add Ons” which have been designed to simplify or even automate the entire video downloading process. Too many priceless, expose’ videos have gone missing from YouTube’s databanks already, so we all need to stay vigilent. The Internet is not like a real library. It can be turned off with the flick of a switch, under the guise of this or that. In my lengthy reply to both Has C and Wotan above, I quoted from their earlier posts using chevron brackets “” and “” to delineate them. But, your host software has stripped all of these out, because they have been interpreted as HTML tags. This stripping out of my “” markers will make my most recent comment difficult to read. Can you kindly and otherwise highlight or mark in some way, the ‘Has C’ and ‘Wotan’ quotes I have used, in order that readers can distinguish them from my own responses? Please indicate if your commenters are allowed to insert HTML tags into our comment text, such as: Bold, Italic, and Blockquote. “I just got a note from two of the moderators and the concern is that although the Video is on Spy Drones the comments are beginning to drift far afield from the topic. It was not my intention … this is just accidental. The stolen gold and Bond boxes are intimately connected to the SpyDrones issue, because the domestic SpyDrones are being driven by the fear that their financial-hoax world is about to be broken wide open. And the main thing that will drive this fracturing, is the public release of this entire stealing of Asian Gold and issuing of fraudulent Bonds story. If the Federal Reserve System was sincere, and had honoured its obligations to its Chinese and Asian customers, then there would have been no need for the TSA, and no need for SpyDrones (to be sent airborne because we are waking up!!). It was not my intention or plan to write a lot on this topic. It just happened. I have to finish what I started otherwise I leave your readers hanging. With my comment of 10:11 pm above, I have now CONCLUDED my brief expose of this Gold Bullion/Bonds issue. Thank you for giving me this opportunity. My best and sincere wishes to you Brother Nat. Thank you my brother for your insight and warnings. My new book PARASITE! Explains a little more and a quick way to get the big picture and what can be done about it too. Go to jimmylongshot.com/ for more. Thanks again for your patriotism and honesty. The truth will ultimately win out. A Canadian high school student was suspended for a week because wore a t-shirt promoting his Christian beliefs and he was told if he wears it again – he could be suspended for the remainder of the school year. The shirt is a reference to a passage of Scripture from the New Testament. YOUR OWN USA GOVERNMENT IS THE ENEMY. A federal lawsuit has been filed against the city of Buffalo, N.Y., alleging that police threatened to arrest a Christian for peacefully handing out tracts and talking with passersby who were willing to chat with him on public property. The complaint was filed by the Alliance Defense Fund on behalf of Gregory Owen. While handing out tracts to willing recipients on a public street during a public festival, Owen was approached by a police officer who declined to identify himself but told him that the Buffalo Police Department is “the law” and he should stop handing out tracts. How will citizens be able to fight against a Zionist takeover? Most even vote for them and support their corporations. It is a sad day when you can criticize God in USA and you can NOT criticize Jews. Whether Obama is Muslim or not in this case does not matter. He tried to negotiate one time about the borders and they called him an anti-semite. Ever since then he has been silent and obeying his Jew masters. What will probably happen is they will be flown at higher altitudes so few if any can see them. People who do notice them will assume they are small light aircraft. (My guess is the vast majority won’t even know what a drone is or capable of). The “drone owners” will simply send them up and test them out, then slowly increase the numbers. Once they are satisfied about a number of variables (ie Public Ignorance-Indifference-Apathy etc) they will have the drones at the ready for a full roll out… the majority hidden away on some base till required. I thought maybe Bro had gone too far, then I looked it up. Oh my God, they are out to kill us and destroy what is left of this country. The Future of the Jews: How Global Forces Are Impacting the Jewish People. The book seems good for keeping updated with the latest spins. I think I understand what you explained. The drones form part of the complex repression machinery needed for the moment when the Dollar Bubble bursts and the next Depression Tsunami hits. Below is a YouTube link of speech you referred to (I think). The situation is really scary. The fellow reminds me of Ron Paul asking for an audit of the Fed. Yes, well found! That is indeed the correct video of Lord James, of Blackheath, and the one referred to in the discussion between ‘Has C’, ‘Wotan’, and myself. The “repression machinery” is what most ordinary folk, thus far, just can’t get their lazy (or often infantile) minds around. It always saddens me to say this, but the majority are little more than dumb sheep, and that is exactly how they will stay for the next thousand years. The ones who are fated with the task of slaying this evil serpent belong to the motivated, noble, and just minority. It will always be thus. The situation is indeed scary. But, I would suggest it is getting even more scary for those who have assumed responsibility for maintaining this global, two-centuries old, financial scam. They know that any significant mistake will be lethal for them … literally so. Ultimately, it is a house of cards built on a foundation of sand. It only really exists in peoples minds (as David Icke so brilliantly describes it) as a hologram. If we stop giving it our power, then it will rapidly collapse. Just as all Ponzi schemes must do. This is why America (and what passes for American culture) is so dangerous to the ultimate fate of humanity. Nowhere else on the face of this planet do people become so removed from reality, while convincing themselves that they are somehow special or superior to the remainder of humanity (i.e., American Exceptionalism). The first linked YouTube video (below) shows an example of one box recovered in the Philippines. Some boxes have fallen into the possession of ordinary Filipinos. Who are then dumbstruck as to knowing what to do with them. They sense they have great value, but the authorities refuse to assist. At the very least, this short and amateurishly produced clip (from the Philippines) will demonstrate that this story is not an elaborate hoax. But, of course, making out that it is indeed an elaborate hoax has become the Federal Reserve’s first choice (or first line) of defence. Ultimately, all this (and ONLY this) is why military drones are being launched to patrol American (civilian) skies. Traditionally, Ashekanazi/Khazar Jews have always been used as Stormtroopers for the International Banker crooks. Because that is all they are, cheap hoodlums–Chicago type thugs in smart suits–in need of aggressive protection. United States central bank known as the Federal Reserve Bank Federal Reserve Note Series 1934 (aka) Federal Reserve Bonds (aka) Morgenthau Bonds (aka) Marquat Bonds (aka) M-Bonds were seized during 2003 from what began at the HONGKONG SHANGHAI BANKING CORPORATION ( HSBC ) in the United Kingdom ( England ) criminal case against former METROPOL ( UK ) British document expert Graham Halksworth involving Federal Reserve Bank Federal Reserve Note interest bearing coupon Bonds contained within ten ( 10 ) boxes with a face value of $250,000,000,000 (USD) Billion ( per box ) - making the ten ( 10 ) box face value total $2,500,000,000,000 Trillion (USD) - the government claimed were counterfeit. I think TPTB are expecting mass riots and are placing surveillance- and recon drones over places where they think that hot spots of future unrests will be. Speaking of surveillance, yesterday was IPv6-day. Now all ISPs will use fixed IPs so there is no anonymity any more. You have put out vast packages of invormation during the last few days and most of it was interesting to read, thank you. But I feel a little uncomfortable with your pronouncement that the majority will never quite understand what is going on and therefore a small elite will be left with the responsibility to initiate and carry out the necessary moves to correct and straighten things out again. I would feel more comfortable to say: The indigenous elites must motivate the indigenous population to correct things and straighten things out, because THE WORK HAS ALWAYS BEEN DONE BY THE PEOPLE! What you have said has reminded me of the 1.7 million people demonstration in Tripolis. I think most of those people were very simple people, but because the Libyan leader has protected them from Jewish brainwashing, they knew, in the hour of need, what was the right thing to do and what was wrong. Regretfully, knowing this did not protect them from Jewish-directed “DRONES” and the flattening of their infrastructure. But the real problem is: What will indigenous elites do if the sky is full of DRONES and there is no more indigenous population to be be inspired? You see, it is comparatively easy to get an indigenous population back on track, but it is very difficult to inspire mixed racial groups in the direction of one particular line of thought. The closest I have come to it is the LA teacher and the 3 black Ladies GLORY describes as having waited with her at the bus stop. The Whites in the USA are turning into a minority soon and I think, well considered thought must be given to the question how the wheel of history can be turned back just a little to sort things out. One thing is sure: A dictator or a monarch, who is motivated by love for his country and who is dedicated to the enhancement of his people, guided in this by the thought that elites and people are two sides of one coin, will be immeasurably more advantageous to all the people in anyone country than Jewish democracy. A dictator or a Monarch, who is given by his people all the material wealth he could dream of will, by natural logic, be the best and truest servant to his people - taking the Renaissance as a rough cut off point. And it is cheaper too than have your country run by Jewish crime syndicates - a realization coming just a little too late. Frederik the Great of Berlin was reported, at the time of local funfares, to slip away from the palace, mix with the crowds and sit down at citizens’ beer tables to drink beer with them and converse about heaven and earth, and all this by no means incognito. Even at that indigenous time his security people were trembling, but it shows the proximity and affinity between a member of the elite and his people. If, in our present situation, thought and action will not take concrete forms soon, we will have to write off the charming world of the past, for which there are, in the collective memory of all European people, little anecdotes or stories vyrying from country to country, b/f from generation to generation, and instead we will be compelled to play our role of being Jewish servants. Having said that I must confess that very probably only a military coup by constitution-minded soldiers or a lost external war can bring the desired changes to the USA. Let us pray for it and let us do our duty for the preservation of what we believe in. Australian columnist Justin Randle has criticized United States spy agency CIA’s drone attacks inside Pakistan as “illegal” and “outside the law.” Randle says that CIA drones are an attempt to violate international law. He quotes a ‘conservative’ American estimate of 1717 deaths in Pakistan by CIA drones between 2004 and 2011, with a ‘conservative’ estimate of 32% civilian Pakistanis dead, all unaccounted for by the Pakistani government, media and the judiciary. The Mississippi community which Israel’s Stark Aerospace is now gracing with its drone production facilities, is mighty pleased. They proudly chalk it up to their well-educated work force and business-friendly environment. They are grateful to the Israeli company for bringing 100 new jobs to the Golden Triangle. And for donating $10,000 to their local community college. The Israeli company does excellent public relations work. 30,000 drones seems a little bit exaggerated. I think, a few hundred drones would be enough to recon the territory to map future uprisings. This ridiculous number is a gift to the Industrial-Military Complex. “I extended my hand often - in vain. They wanted this fight; now they shall have it! The German Volk will see this fight through to the end! The danger that it might erupt again within one or two or three years, after a period of heightened tension, must be removed. “THE GERMAN VOLK WANTS TO HAVE PEACE FINALLY. It wants a peace that allows it to work and which DOES NOT ALLOW INTERNATIONAL SCOUNDRELS TO AGITATE AMONG OTHER PEOPLES AGAINST US. “These are the folks who make their fortunes through war. I HAVE NO REASONS TO WAGE WAR FOR MATERIAL CONSIDERATIONS. For us, it is but a sad enterprise: it robs us, the German Volk and the whole community, of so much time and manpower. I do not possess any stocks in the armament industry; I do not earn anything in this war. “I would be happy if we could work again as I used to work for my Volk. But these international war criminals are at the same time the armament industry’s greatest black marketeers. They own the factories, they make business. They are the same people we had here in Germany earlier. What exactly is the “Industrial-Military Complex” ? The same people who helped a nameless major to become a five-star general within a few months? Or the Carlyle Group ? That would be a very interesting and enlighting topic for another RJN post. Or does anybody know what the IMC exactly means ? I hear from polls (ZOG polls more than likely) that people are okay with Jew drones. When will Americans wake up and realize the Jews are not Americans, they are foreigners only loyal to the Christ-hating state of IsraHELL. Wake up and smell the coffee. Turn off your brainwashed heretic Zio-nationalist “Televangelist” who drools over Jewry. I have never in my life seen such a stupid, self-indulgent, brainwashed people before, but, hey, maybe they’ll wake up when missiles are flying at them from drones courtesy of the JEWnited States. I’m a Muslim, and I don’t share your religious views at all. But I admire your articles and that you uncover the dirty facts about Jewish control on USA. Thus the ugly impact of this control on the whole world. As I see your determination against the evil, you shall have my donation as well. I’m from Holland and wish to post (for the first time) here my feelings about the problems on planet Earth. I’m reading this site for several months now, and also read older postings and comments on those postings. What shocked me the most is the ‘remembering of Christ and the meaning of His words,’ and the opening of my ‘inner-reader’ for the words in the Scripture. Thank you for that. (For I was forgetting that). On-Topic: Walgelijk, die drones. (Ugly, that drones).